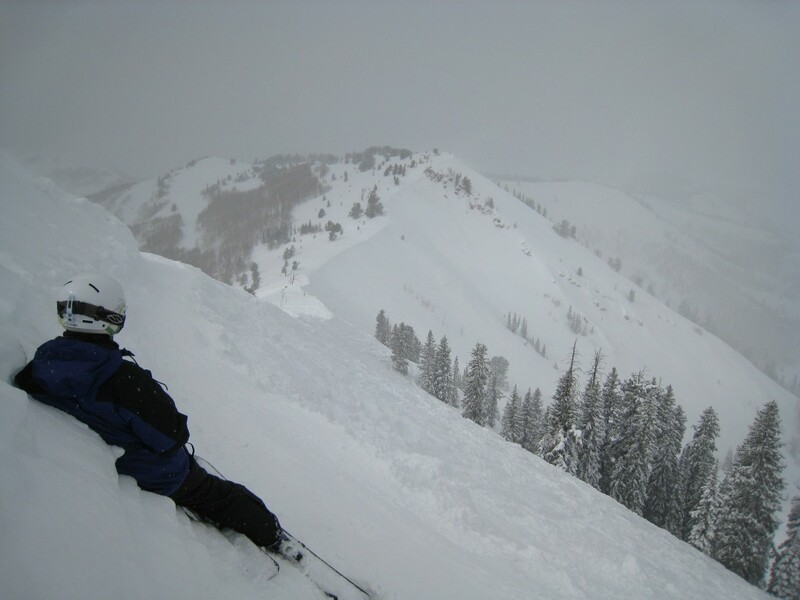 We’ve been skiing The Canyons every year since 2003 when we discovered what a great place it is. 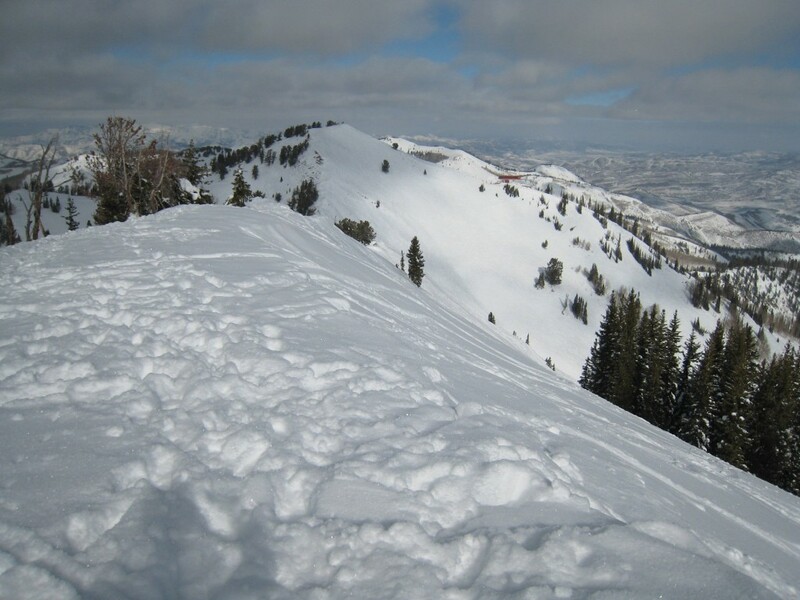 Utah is full of great ski resorts, but this one is different and special. 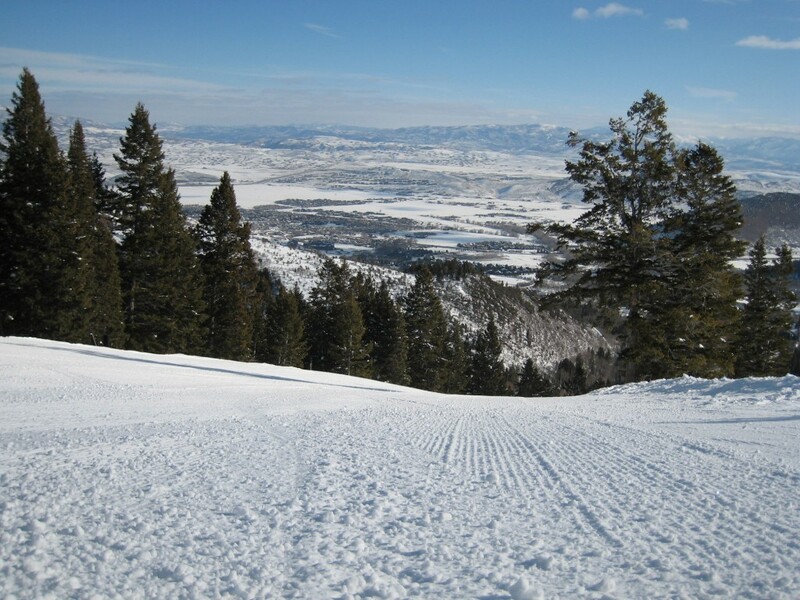 We first heard about The Canyons in 2002 when the winter olympics were held in Park City and the TV coverage was headquartered in the Grand Summit hotel at the base. 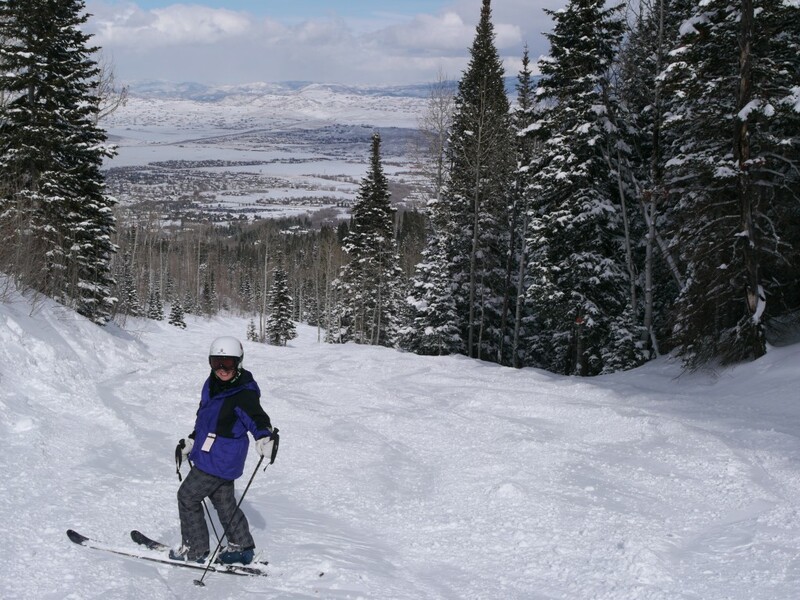 The Canyons had gotten 4 years of upgrades starting in 1998 that more than doubled the size of the resort and made it a major player in the destination resort market. The resort has had a number of different owners since then which has (thankfully?) ended up with Vail Resorts owning the place. 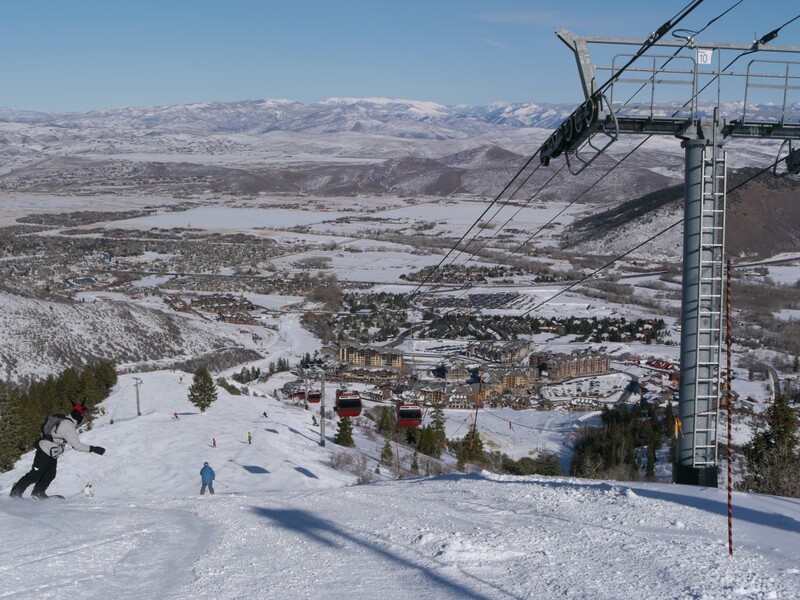 This summer (2015) they are spending $50 million linking up Park City Mountain Resort and The Canyons and will be calling it one resort which is simply “Park City”. 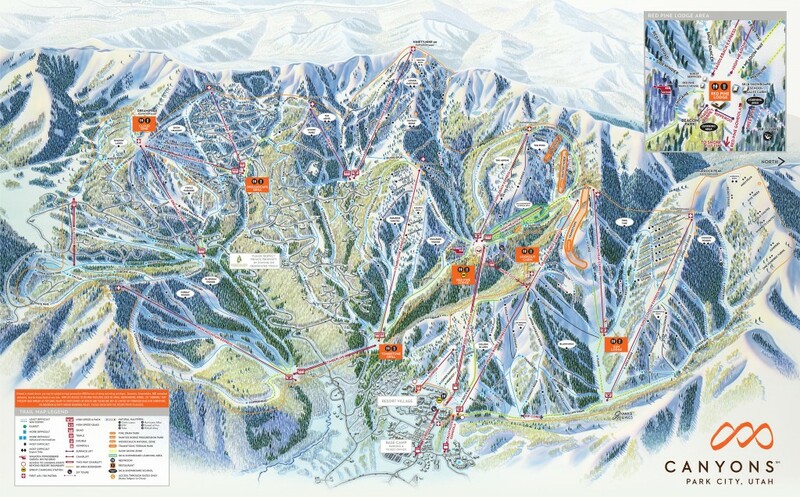 The Canyons will become “The Canyons at Park City”. To us these will always be 2 separate resorts. 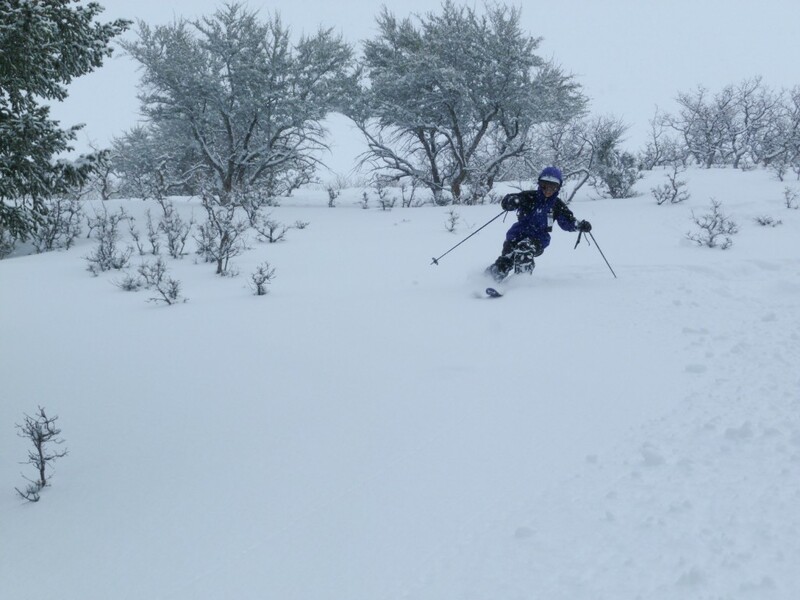 The skiing is very different, and the connection is not going to be a smooth skiable transition between the two resorts. This is primarily a marketing play, because the two resorts put together will make the largest ski resort in North America. In 2003 we visited for the first time. 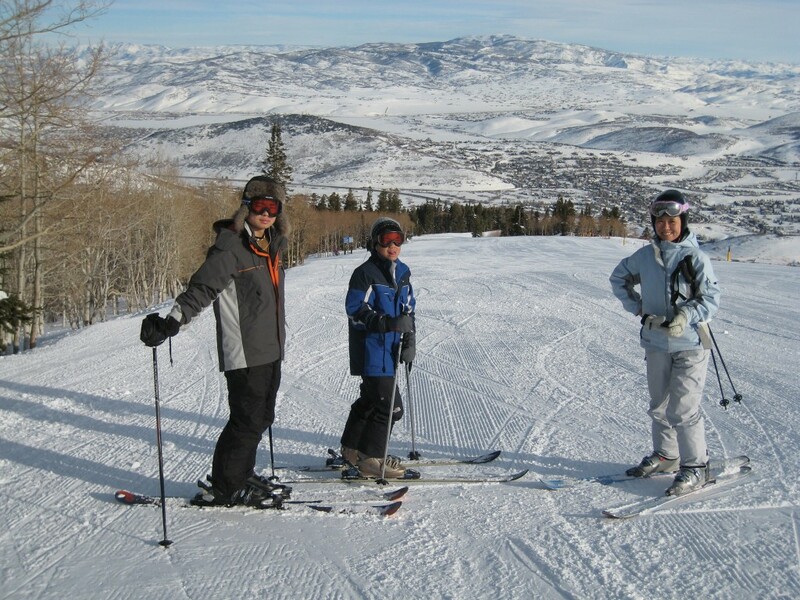 We were staying in Salt Lake City downtown and drove up to the resort to ski with the kids. We thought we had found paradise. Long, steeper, well-groomed trails were virtually empty. We liked it so much that we bought a timeshare right in the village at the top of the Cabriolet lift. We owned that for 10-years, which is one of the reasons we skied there so much. The other reason is that it is just plain awesome even though it’s not nearly as empty as it was back in 2003. 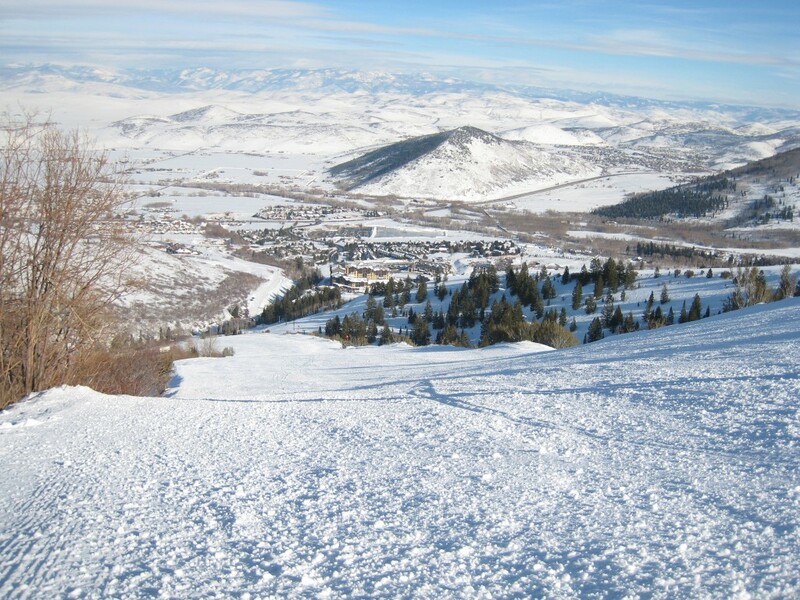 The Canyons is large, and you are wasting your day if you try to ski all the ski pods in one day. The best option is to divide it in the middle and spend 1 day on Tombstone and everything to the left of that, and the other day on Saddleback and everything to the right of that. In any case, your day will begin either on the Gondola or Orange Bubble to get up to mid-mountain where you can decide whether to go right or left. These 2 lifts move people out of the base area quickly and the lines aren’t usually more than a couple of minutes. I won’t bore you with details on every ski pod, because this place is huge. Here are some highlights from lookers left to right (southeast to northwest). The Dreamcatcher and Dreamscape lifts access 2 of our favorite intermediate groomers on the planet: Alpenglow and Twilight. 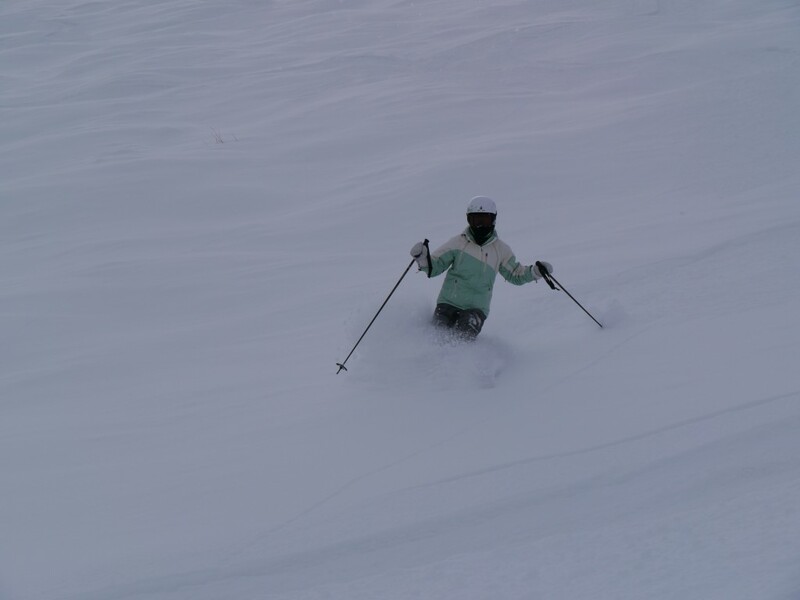 The snow is the deepest on this side of the mountain, and the groomed runs are just a tad better because of it. 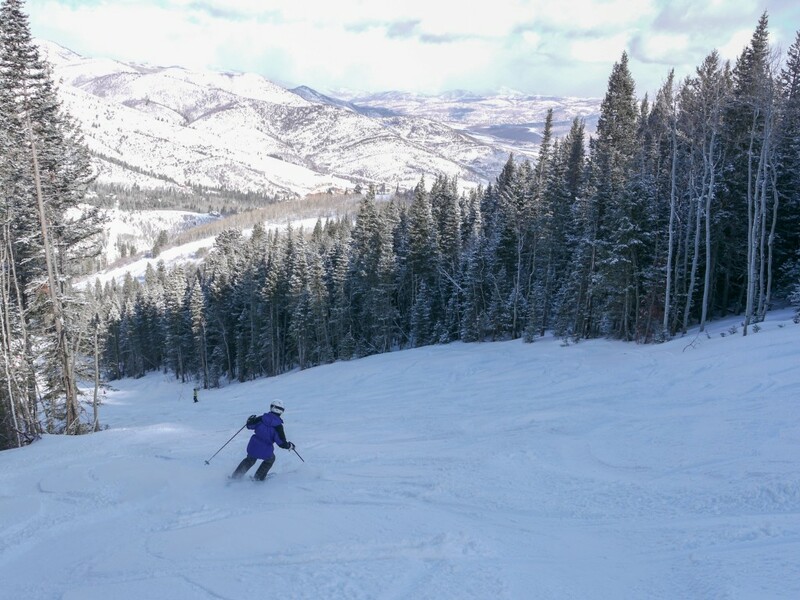 Dreamcatcher has a large vertical and some lower-angle ungroomed black runs that are great on a powder day. The Peak 5 chair accesses one of the steepest zones on the mountain called “The Abyss”. 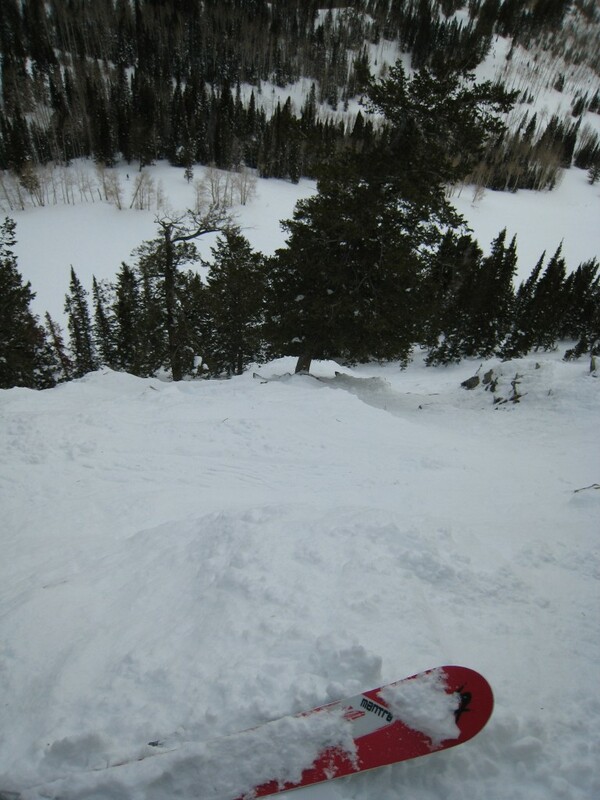 Skiers right has about the steepest angle that can hold snow and not be pure rock that I have skied. 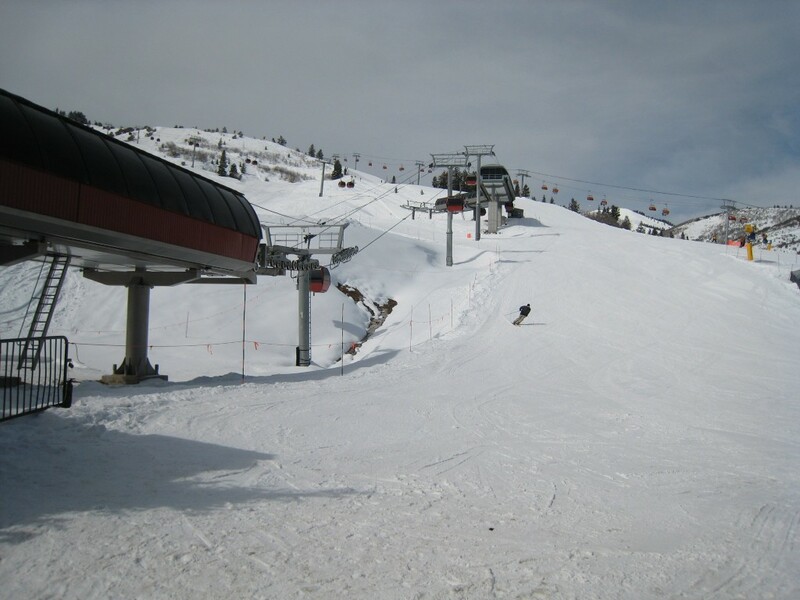 I remember skiing this with our son Kai after he got to be a great skier, just hoping/praying he didn’t fall. The 9990 lift is named after the altitude of the top station, which is the highest on the mountain. The north face of 9990 has the best/deepest snow on the mountain. NOTHING is groomed on that chair, so it is all black or double-black. Bring your “A” game because this is where AiRung blew out her 2nd knee in an unfortunate accident on a narrow trail traversing out of an unskiable zone a few years back. On a powder day you could spend all day in this zone, but you probably won’t because there are so many other choices and things to ski. The negative to the north face area is that it takes 2 chair rides to get back to the top, and one of them is the busy and long Tombstone lift. 9990 also gives you access via a short uphill hike to a backcountry gate. This is easy access to some fantastic snow. I have been out the gates a few times and it’s amazing how easy it is to get to untracked snow, but be careful! Avalanche gear, training, and a friend are vital if you go. Tombstone is a huge ski pod with some very unique features. There are some extraordinarily long lower-angle blue groomers to skiers right, and some much shorter but very steep double-blue’s on skiers left, including “Sidewinder”. Sidewinder is not really a highlight though. We usually call it “Icewinder” — you get the picture. Taking it after 11AM means a very fast ski down a crowded slope with a bunch of semi out-of-control skiers. Still Tombstone has something for everyone and Icewinder aside, it’s a great ski pod. Super-Condor is on the right side of the mountain and is the best place to rack up lots of vertical. Other than 1 really long low-angle groomer, everything is steep and they often groom 2 or 3 of them. 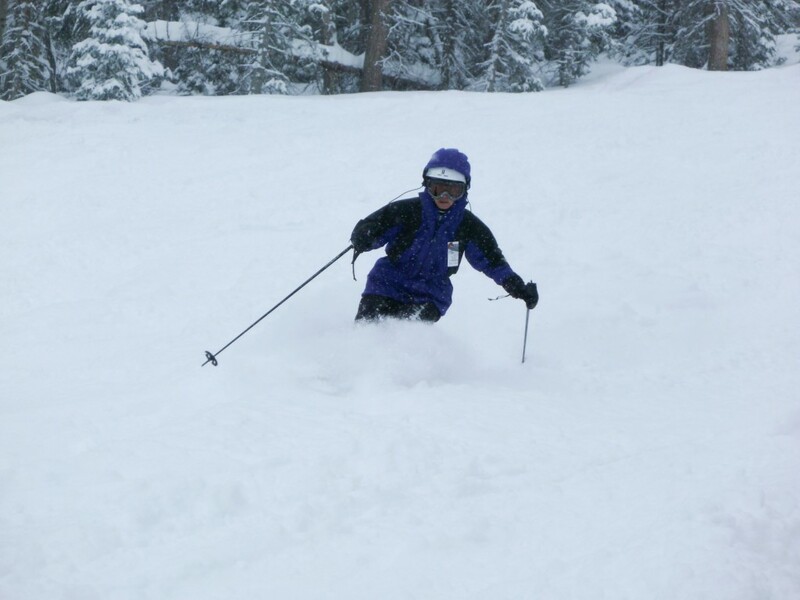 You have iron legs if you can ski top to bottom without resting. This is a very unique ski pod and is not something you can really find anywhere else but The Canyons. The Orange Bubble midway unloading area gives you access to one of the most underused areas of the mountain highlighted by Lookout Ridge, which is another of the greatest steep groomers we have skied. Silverado Bowl is great on a powder day, and since it is underused you should find some soft lines even after 3PM. To us The Canyons has traditionally excelled in the things that make skiing great — snow, terrain, grooming, and lifts but it has not been so great for things that you would find in a lodge like food and bathrooms. It used to be that there was NO food and only temporary bathrooms to the left of Red Pine at the top of the Gondola. That is an area the size of Kirkwood with no services. Thankfully they are slowly improving that situation with a new restaurant at the top of Dreamscape, and an outside dining area at the bottom of Tombstone. Still, the food is very expensive and nothing really special, and it will be hard to find a seat (except Lookout Cabin), so our recommendation is to eat at one of the non-Vail restaurants in the village. It’s very entertaining skiing at The Canyons due to the unique nature of the terrain. It seems like there are lots of hidden gems as you explore. 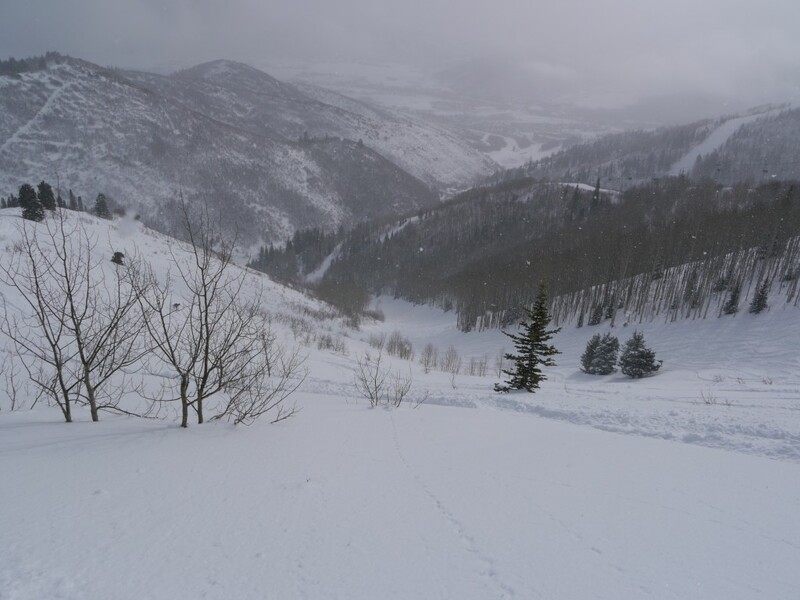 The Park City area resorts get less snow than the Cottonwood Canyons resorts get, which is ironic since you can look down on Big Cottonwood Canyon from the top of the 9990 ridge, but that is the case so you will find better/deeper snow nearby. Some of the runs actually face South due to the primary ridge orientation being Southeast/Northwest and the fact that the area does actually have lots of canyons. There are probably something like 20 runs that are mostly sagebrush and are seldom open because they face south. It would probably be better if they just revised the trail count down and took those off the map. There is also a huge difference between the amount of snow received at the base vs. the top of 9990, which is not unusual for a lot of places but here the difference is probably something like 4:1. The base relies entirely on snowmaking. As mentioned in the review, Vail has done their usual with food prices and the lack of seating and lodges on the mountain make eating on the mountain something to be avoided if possible. Steep groomers! You will find them on Super Condor, Orange Bubble, Dreamcatcher, and Iron Mountain. If you can handle steep ungroomed terrain head up to 9990 for the best snow. 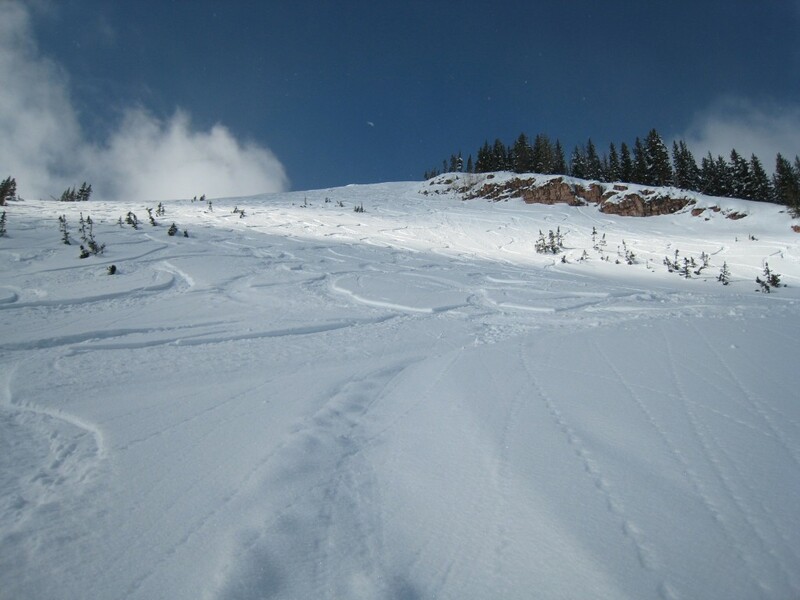 There is great really-steep terrain all over the mountain, so explore and enjoy. 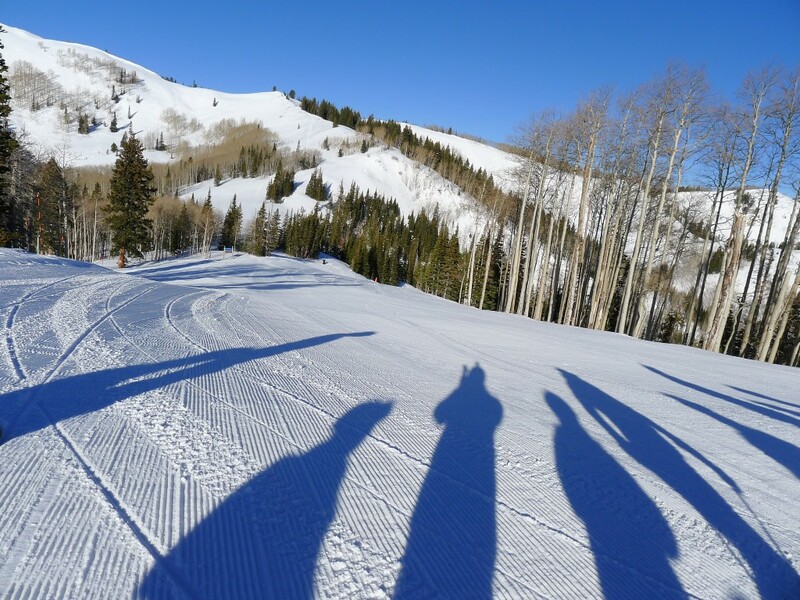 We once signed up for the “First Tracks” program where we skied with an ex-Olympic US Ski team member with a few other lucky people. We literally had the whole mountain to ourselves for 1 1/2 hours of bliss. Yes definitely. In fact the first year we no longer had our timeshare we still went back and rented a place in the village! We have Vail Epic passes and Park City is a relatively short drive for us from Tahoe, so we will probably be back every other year at the very least.